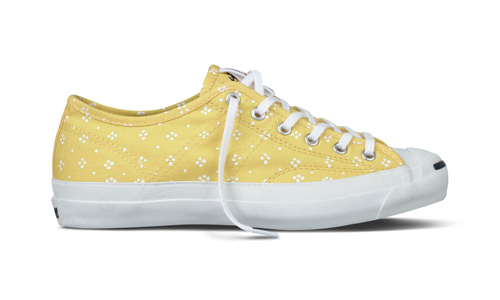 Converse and Marimekko announced their Spring 2012 collection, with the Chuck Taylor All Star, Chuck Taylor All Star PJ and Jack Purcell Helen shoes receiving a springlike boost of five signature prints from two Marimekko designers, Maija Isola and Annika Rimala. The Muija (woman) print from 1968 is a more subtle pattern. 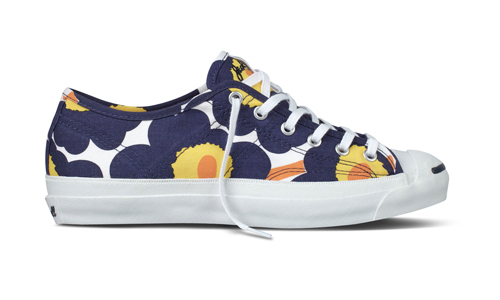 The Unikko (poppy) print was created in 1964 out of protest when Marimekko announced that the company could never print a floral pattern. 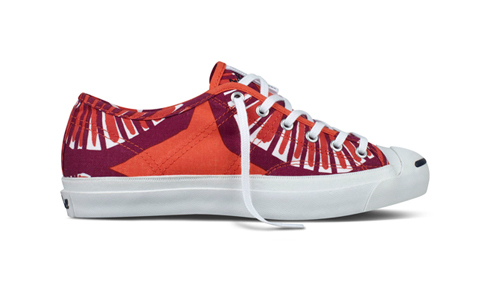 The Appelsiini (orange) print, created in 1950, was inspired by the bargain oranges the designer ate during her stay in Spain. 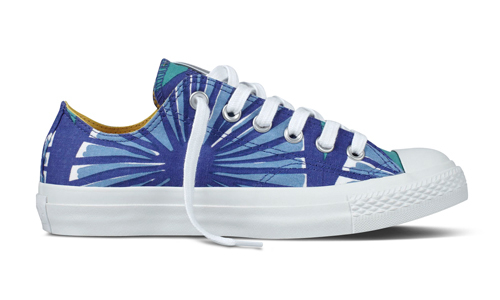 These shoes will be available sometime in February at your local retail outlets, select Marimekko stores as well as online. Prices are estimated to be at $90 in the US, and between 100-120€ in Europe.